Ruby Mander has donated her curly tresses to Little Princess Trust which provides wigs to children who have undergone chemotherapy. Together with over £1,000 raised through the sponsored trim at Birmingham’s Puro Hair, three children will benefit from Ruby’s kind cut. 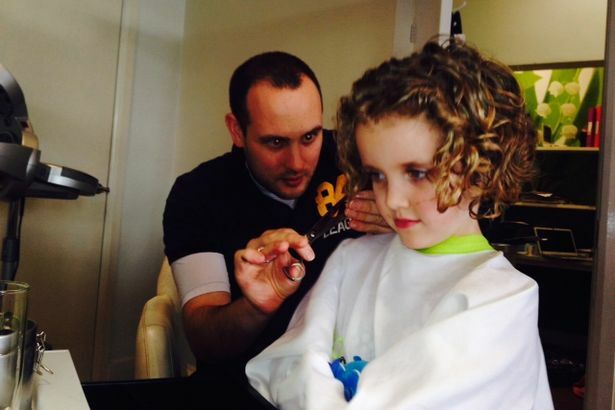 Ruby was given the scissors-treatment by Puro’s “curly hair specialist” Matt James. The lopped tresses measure from seven-and-a-half inches to just under a foot. Little Princess only accepts hair over six inches. Ruby’s 11-year-old brother, Joshua, has also donated his pocket money. If you would like to make a donation, go to: www.justgiving.com/RubyMander.